Not tried this one before. 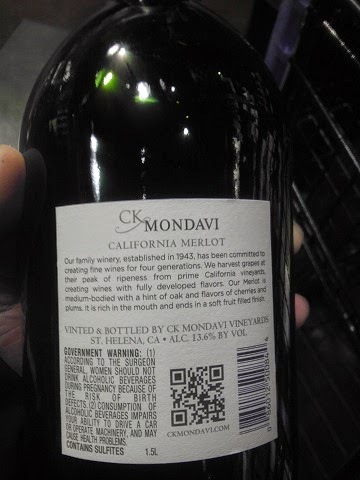 It's CK Mondavi Winery in California. 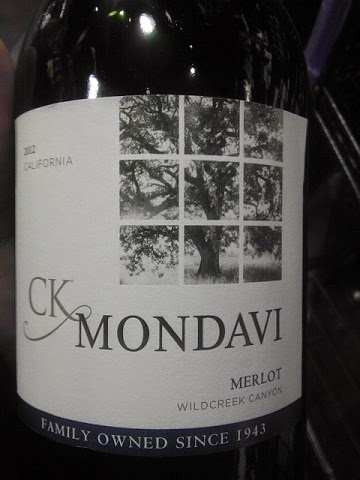 A strong 13.6% red wine that comes in under $12 for the big bottle! Price and alcohol content has the Red Wine Wino happy. White Wine Wino concurs that they will purchase again! 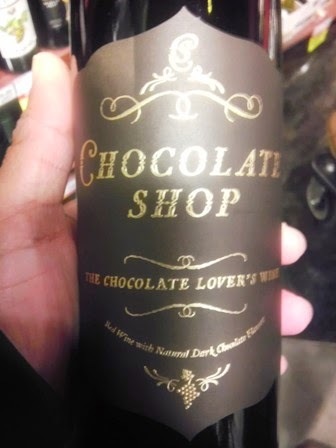 Tried Chocolate Shop Wine on a whim. 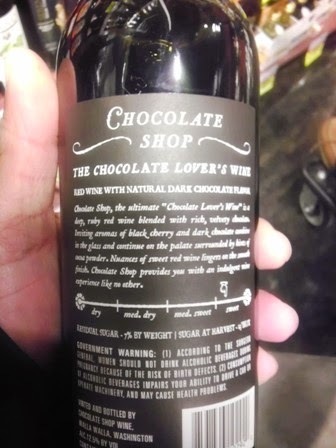 Was not sure how chocolate would effect wine. In this instance, it was positive! There is a hint of dark chocolate when you sniff it. It tastes great as well. Overall, the Winos give this one a Good Rating! Even better is the 12.5% Alcohol Content to give it a little oomph!